You know what they say about first impressions — they’re lasting. With the Grand Prix season just around the corner, every opportunity for skaters to take to the competition ice and provide a positive first impression is a good one. Last week, several top skaters did just that at the Nebelhorn Trophy in Germany. Early season skates are hardly indicative of what we may see later on, but they do provide glimpses of progress. And they leave impressions … that last. Nobunari Oda … he’s baaaack! He has such perfect programs for his style and character. Sure, there were some bobbles here and there. But I can’t be the only one distracted by his flawless, soft knees to the extent that the flaws become less visible, right? Love him. Yesterday was the day. Where you surprised by the Grand Prix assignments? If you’re an Evan Lysacek fan, you were likely disappointed. Conversely, if you’ve been anticipating a Johnny Weir comeback, you may have squealed to see his name on the list twice. Over the next few days, we’ll take a look at each discipline separately and how the assignments line up for each event. Since the men have been the talk of the town (my “town,” anyway!) we’ll give them the first shake. As has become the norm, the biggest competition will come from the Japanese contingent, although it’ll be the Abbot — competing at Skate America for the first time in his career — who will have the support of the hometown crowd. Last season proved we can’t count out quad-master Michael Brezina, and when he’s at his best, Tomas Verner is a force to be reckoned with as well. Personally, I’m thrilled to see Douglas Razzano along side Abbott for Team USA. He’s a real “skater’s skater” with the elegance and musicality that can bring an entire arena to its feet. If he can match that artistry with technical difficulty, he’ll be well on his way! What — or should I say who — is that spot for? Naturally, the rumor mill would lean naturally toward that spot being for reigning Olympic Champ Evan Lysacek who has made no secret about his wish to compete in Sochi. However, there have been more than a couple roadblocks along the way. Last season, there was the “contractual issues” with the USFS that kept him from returning to competition. While the details of that conflict were not made public, it has been reported that it wasn’t simply “Evan wanting more money” like it came across the first time, but far more complicated than that. With that assumed to be resolved, it was a bit surprising to NOT see Evan’s name on the assignment list. However, there are plenty of explanations (read: “assumptions!”) that don’t involve him not staging a comeback. Perhaps he didn’t want the GP spot. He’s made mention of wanting to compete at Senior B events to ease back onto the international scene. He’s a proven champion, so maybe he simply feels it a better option to start small and work his way back up towards Nationals and Worlds, sans the fall series. Or maybe, he’s scheduled to compete on the Dancing With The Stars All-Star season this fall. Who knows, save Frank Carroll and Lysacek. But, perhaps that TBA spot is reserved should he choose to accept it after all. In the year 2000, Alexie Yagudin pulled off the three-peat, taking his third world title in Nice after rediscovering his passion for the sport. He skated a short program of technical genius, and a long program that, although flawed, was packed with superior emotional depth. Along the way, his closest rival — one Evgeni Plushenko — crumbled under the pressure of completing an undefeated season and the potential to become the youngest men’s world champ in history to finish fourth overall. Veteran Canadian champ Elvis Stojko and American Michael Weiss took silver and bronze. “If I will not work anymore and I will just keep my levels on the same position, I will lose my title,” Yagudin said after the short. Wisdom from a skater who would go on to elevate his skating to far greater levels on the way to Olympic glory. This time around, however, perhaps the same could be said by other returning champions heading to Nice for the premiere event of the season. The men’s event has the potential to get a little crazy, with the “on paper” predictions likely to fall to the reality of slippery ice and an intensely deep field. Still, there are some things we can expect. Patrick Chan is the hunted. No matter how you slice it, Chan is the favorite, and deservedly so. The fact is, he has elevated his skating, namely by including two quads in his free skate while maintaining top levels on on footwork and 9s plus in program components. He’ll be tough to beat. Still, he’ll have some competition. The man with the best chance? Daisuke Takahashi, of course. He, too, has stood on that top step and would love to reclaim his title. But to do so, he’ll have to skate perfectly clean programs for the first time this season. While many argue his superior choreography and emotional depth, it all comes down to the nitty gritty of technical content in his battle for gold. Should the top two falter, don’t worry — there are plenty of challengers ready to take their place on the podium! There’s Jeremy Abbott who is perhaps more comfortable and focused than ever before, and Takahiko Kozuka who oozes talent, but hasn’t quite been able to leave it all on the ice when it counts. His younger countryman Yuzuru Hanyu has massive jumps and captivating artistry, while Adam Rippon has stunning artistry, but is still reigning in the jumps. Don’t forget Javier Fernandez who won the short program at Skate Canada over Patrick Chan, or Brian Joubert who is looking to reestablish himself among the world’s best. Then there are Artur Gachinzki, Denis Ten, and Michal Brezina who are each capable of throwing down competitive programs. And one on my personal radar is Misha Ge. This kid is a ball of energy with some really solid skating to go with it! Phew! Looking at that list, I’d say it’s safe to expect some shakeups! So what’s it going to take to make that podium? Well, this season we’ve seen the quad once again claim the spotlight. Not that it ever really went anywhere, but it looks more unlikely than ever that a title would be one sans-quad jump. That’s why Jeremy Abbott is putting it in, Fernandez has two different quads, and Artur Gachinzki could be relevant. Clean quads will be important. But really, that’s only part of the story. Remember all the hulabaloo when Chan falls and still wins? That’s because his programs start at a higher base value that others. It’s the “everything else” score — the steps, the spins, the components. And he milks the system like none other. The guys who do that best, could be the ones who land on the podium. Call it playing it safe, but is there a chance the most predictable picks could pay off? Don’t forget, as far as the Americans are concerned, they are also skating to regain a third spot on next year’s World Team. To do that, remember, their combined placements must total no more than 13. As much as they’re skating for themselves, you better believe that’s a goal in the back of their minds. We’ll see, in only a matter of days now! But I want to hear from you — what skater do you expect to bring the house down in Nice? After an afternoon watching the practice sessions from Skate Canada (thanks, skatebuzz! ), I can say I’m fully ready to see how this event goes down. Let me just say, it could go any which way! The ladies event continues to be unpredictable, this time with the added impact of a 14-year-old Russian phenom who might just steal the show. Mirai Nagasu is the skater who should have the edge. She’s been close to the top before, and when she is right mentally, she has all the pieces to be one of the best in the world. At the end of last season, her coach Frank Carroll said she was the best she’d ever been mentally. If that has continued, she could be in for her best season yet. Of course, that is always qualified by her lack of consistency in the past. Elizaveta comes to Canada armed with a stellar triple lutz-triple toe combination. Canadian Cynthia Phaneuf is still looking to put herself back in the talk of the top ladies in the world. Generally speaking, she’ll have a strong short program, but lose it in the free skate. Plus, the pressure of skating at home sometimes works against her, rather than in her favor. Akiko Suzuki won a Grand Prix gold last season, but she, too, has some free skate consistency issues to work around. The real fireworks, though, could come from Russian Elizaveta Tuktamisheva. She is the 2011 World Junior silver medalist, but more importantly, the 2011 Japan Open champion where she posted a 118+ in her free skate. She’s a jumping bean with a very traditional style, but she’s been impressive. Look out for her! Don’t forget about the other Americans — Rachael Flatt and Ashley Wagner. They’ll always be in a fight for the podium. The men’s event seems fairly predictable, at least for gold — it’s a faceoff between Patrick Chan and Daisuke Takahashi, who both looked strong in yesterday’s practice. Patrick looked to be better off from the quad stand point — Dai fell quite hard on his quad toe attempts. Before everyone goes off trying to say which skater is better, I think it’s important to realize — they are BOTH fabulous, just in different ways. Patrick gives us all the thrill of something that’s larger than life. He sweeps across the ice with speed and flow that is unmatched, and his choreography tells a beautiful story. One short program event down, three to go. While waking up at 4 a.m. wasn’t the ideal situation, the men’s short program competition was worth it, I must say. Even from the first group, there were highlights. Of course, the real fireworks came later on when the favorites hit the ice and they did not disappoint! Not much was expected of the inexperienced American team in Moscow. Richard Dornbush and Ross Miner are at their first Worlds, and Ryan Bradley, who has been there twice before — unsuccessfully — has said this is the first time he feels like he belongs. Dornbush and Miner both skated in the first group and were more than clean — they were quite lovely to watch! I felt Miner’s PCS scores were a bit low, but they both hit the 70+ mark and had a lot to be proud of. Bradley skated first in the third group, and from the get go, I could tell he was nervous. He hit two quad toe-triple toe combinations in the warm up, but in the program, it was a quad-double. Still, he hit a HUGE triple axel and a nice triple flip. The crowd wasn’t eating him up like normal, so it felt a little flatter than it should have. But it was a good, strong, clean skate. He was underscored, in my ever so humble opinion. Denis Ten was quite a pleasant surprise. He led the field from the first group up until the second-to-last group with a solid 71+ score. He’s made some dramatic improvements with Frank Carroll. I wonder, though, if he can hold it together for a long program. The Frenchmen Florent Amodio and Brian Joubert skated back to back. Amodio was cool, calm, controlled…and explosive. He laid down a great skate. No quad, but he easily took the lead. Joubert was good…not great. And while he had a quad (that he turned out of), he had no combination. This should have been a serious deduction. His technical elements score was lower than Bradley, but his components score was higher by about 5 points. As much as I love Brian, that was not right. I would have Brian/Ryan’s programs about equal. Brian with perhaps a slight edge in PCS — but slight. That is, if Brian has all the elements. Without a combo, he shouldn’t have led. I feel the international judges don’t take Bradley seriously, probably partly due to his comedic routines. But that doesn’t make his skills any less significant. Takahiko Kozuka skated after winning the Qualifying Round and proved that he’s quite a contender. I still cringe at this short program, but he skated it well with only a minor error on his triple axel. Daisuke Takahashi and Patrick Chan stole the night, though. These two have been the co-favorites all along, and they proved why. Chan skated first, and he laid down the gauntlet with a textbook quad toe-triple toe, triple axel, and a triple lutz. Add that to his impeccable basic skating, creative transitions and best-in-the-world footwork, and we have a winner! He set the new world record short program score, taking down that of previous record-holder Plushenko (who was in the building to see it go down!). It was truly something special. And one of the few programs I felt deserved the scores it received! Takahashi was wonderful as well. He didn’t have a quad, but what he had was heart. People were moved by his performance, and not just because he skated it well. To come through the trials his country is coming through and to skate with that much focus and skill…just brilliant. His scores didn’t reflect the quality of his skate, and he finds himself some 13 points behind Chan (who is rightfully in first, but Dai was incredible as well). Michal Brezina’s scores baffled me a bit, as did Artur Gachinski’s…and even Tomas Verner’s. It almost appeared like the old 6.0 system that because these three skated later in the event, the judges scored them higher. Now, in the old system, they had to save scores for the later groups. Not so anymore. Or so it is supposed to be. These three compared to the three Americans (and Denis Ten) weren’t all that impressive. Certainly not 7 points more impressive. Brezina struggled on his combo and lacked some polish and quality throughout. Gachinski’s quad-triple combo was impressive, but the rest was just average. Verner’s short program is to die for, but even “Singing in the Rain” couldn’t mask the fall on his quad attempt or the struggle with his combination. And yet, there they are, all at least 6 points higher than those with comparable skates early on. *sigh* Maybe the judges will never learn. Nobunari Oda was the last to skate, and he had some demons to fight. 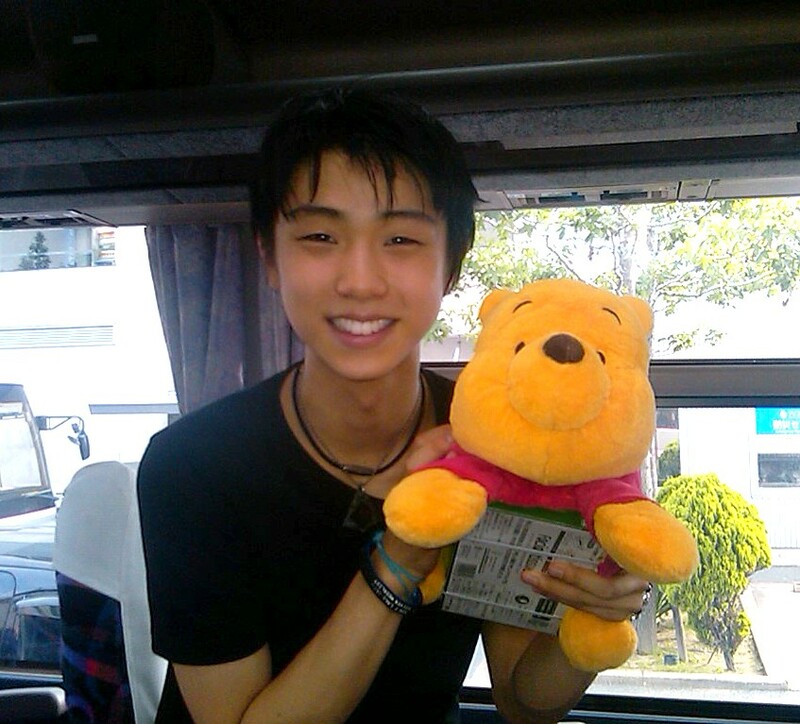 Last year at worlds he had a disastrous short program and ended up 28th overall in the event. He certainly made up for that here. But yet again, the scores baffled me. His program shouldn’t have compared to Takahashi’s, and yet he found himself between Patrick and Daisuke and in second place headed to the free skate. I must say, this was a very entertaining event thanks to the athletes. It was quite frustrating and even confounding thanks to the judges. I’m obviously not a judge. But I think I know good skating when I see it, and the placements after the shorts don’t reflect the best skates of the night (err, early morning here!). Regardless, the stage is set. Chan looks to have a comfortable enough lead that he should skate with less pressure. Takahashi, Oda and Kozuka will be battling it out for medals, but they won’t be alone. Less than 5 points separate 2nd-6th. Plus, there are just over 5.5 points difference from 8th-13th. Oh, the games are just beginning! Here are your complete results after the Short Programs. *Only the top 24 move on to the long programs. Happy Labor Day to those who have so kindly chosen to follow FromTheBoards (the few, the proud…the skating fans!). Labor Day is an interesting holiday, don’t you think? I was curious enough, in fact, to look up the origin of the day. Apparently (correct me if I’m wrong, here!) a kid named Peter McGuire was inspired by a workers strike where employees were demanding a decrease in the hours of their long work days. Ultimately, McGuire helped for a workers union and the Labor Movement began. These workers then decided that they wanted a holiday halfway between Independence Day and Thanksgiving, thus the first Monday in September. It appears it used to be celebrated more heartily – parades, feasts, etc. Now it’s basically the last day of summer (sad day!) and sometimes a day for picnics. So there you have it. Your random fact for the day. Now on to the good stuff – the skating! Back to business – the men, of course! And let me just say, this may be the most exciting discipline in the sport right now. The ladies long held that crown, but even with the great Yu-Na in the mix, it’s just not the same as it once was. The men’s competition, however…talk about drama! So once again, we look at the top 20, according to the World Rankings posted at icenetwork.com. Let’s dive in! The American Olympic champ, Evan Lysacek, holds the top spot, which makes perfect sense. I mean, he is the Olympic champ. But with his recent decision to sit out the Grand Prix series and take a “wait-and-see” approach to Nationals, there will be some open space at the top, at least at the beginning of the year. Evan pushed himself to the brink last season, so he certainly deserves some time off. The question will be, can he get back into the kind of shape he’ll demand from himself? Also, will skating competitively remain his passion despite the other offers he’s getting? Even with Sochi 2014 “on his radar,” Evan’s certainly non-committal at this point regarding any future plans. So, who’s the #2 who gets bumped to #1 by default? That would be World Champ Daisuke Takahashi. The Japanese champion stood up on a quad flip at Worlds in March, so look for him to push the envelope technically this year. But don’t let the technical side throw you – this kid’s a performer. He’s got a Mambo short program in the works, and I’ve seen portions of it. One word? Magic. I’m really looking forward to seeing his progression this year. A lot of people thought he deserved silver in Vancouver, so he may feel he has a little something to prove. Sneaking into the top three (perhaps thanks to Plushenko’s ban that stripped his ISU eligibility and, therefore, his right to be ranked) is another of Japan’s stars, Nobunari Oda. He’s had an interesting career thus far – National champion in 2008, but that was after sitting out the season before due to a suspension for driving under the influence of alcohol (driving his moped, by the way!). And the road back to glory hasn’t been easy. Yes, he won the Japanese national title in December of 2008, but since then it seems he makes a big statement, then collapses when it really counts. At the Olympics, he fell in his long program, broke a lace, restarted, finished…all to end up 7th. Then, he completely bombed at Worlds, landing only one single jump in his short, and not even qualifying to skate in the free program. I have a feeling he’ll be looking for a strong comeback, but sometimes I think he wants it TOO much. Keep an eye on him, but don’t hold your breath for a stellar, world title kind of year. Number four in the world is currently the Frenchman, Brian Joubert. He’s an interesting story (far too long to discuss in this particular blog, but if you have thoughts on him, I’m curious to know!) I find myself with a soft spot for Brian…I feel like he’s just never really been able to find himself on the ice. He seems to always be trying to match someone, or skate like someone else. For years he was criticized for trying to be 2002 Olympic Champ Alexei Yagudin’s mini-me, and it’s almost like when he stopped trying to be Alexei, he didn’t know who to be. I think he’s finally getting there, but again, it hasn’t been easy. He’s faced some bizarre injuries (cutting his foot with the opposite blade on the landing of a jump?!?) and some tough competitions, but he keeps climbing back up. You know what they say, champions aren’t the ones winning all the time, but the ones who get back up every time they fall. Brian’s got a short program to “Malaguna” planned – a much more artistic piece of music for him – so maybe he, too, will come back with new focus and passion. I wish him well. The American national champion Jeremy Abbott closes out the top five. Jeremy is such a talent – his edges cut the ice like butter, his choreography pours out of him as naturally as he breathes – yet there’s something that’s kept him from reaching the top. I think he battles nerves with the best of ’em, and half the time they get the best of him. If he can combine the technical demands with nerves of steel, the rest will be easy as taking candy from a baby (…so they say). He’s another wild card for me. Patrick Chan from Canada takes the #6 spot. This kid has got “it.” Whatever “it” is…he’s got it. He has some of the softest knees since, I don’t know, Todd Eldridge or Brian Boitano. When he’s on, he’s magic. The problem is, he’s not always on. He needs to step up the consistency in the technical department and, well, that’s about it. He has some of the best footwork in the business, in my opinion, and apparently in the opinion of the judges. He won some competitions last year that even he was surprised (dare I say, embarrassed?) to win because he didn’t complete clean jumps. But his transitions and footwork held him in it. It will be interesting with the new rules about footwork and jumps (supposedly to make jumps more weighted) to see how he fares, and if he can get those HUGE jumps under control. Takahiko Kozuka is the #7 man heading into the season. Japan’s contingent is so strong. Expect the same from these three this year. Kozuka hasn’t had a “big break,” so to speak, but he’s looking to change that. Will this be the season? Two Czech men are 8th and 10th (we’ll get to 9 in a minute) – Tomas Verner and Michal Brezina. Tomas had some wins last year. He’s not a polished skater, but he’s got the big tricks. He did have more entertaining programs last year, but when it counted, he faced disaster in Vancouver. It will be interesting to see how he rebounds from that. Brezina skated his “American in Paris” program to a 4th place finish at Worlds in March, so he’s looking to keep the momentum up heading into this season. Jump back to #9 for a second – American Johnny Weir. He was originally slated to compete in the Grand Prix, but shortly thereafter decided that he needed to sit out this season and determine whether he wanted to continue competing. Johnny’s been through a lot the last few years. He hasn’t quite been able to pull together his own ideas about what skating should be and what the rules say it has become. Within that struggle, he couldn’t quite seem to reach the level of technical difficulty necessary to compete internationally. But at least for this year, he doesn’t have to worry about it! On to #11. Little Adam Rippon. I say little because he seems like such a youngster compared to many of those at the top of the sport, but boy is he a talent! His movements are so pure, his edges so deep and clean. If he gets a bit more comfortable in the senior ranks with his jumps, he will be right up there with some of the Patrick Chans of the skating world. (He also does a “Tano” jump with a hand over his head as well as his own variation with both hands over his head. Gotta love it!) His future excites me. I can’t wait to see his season. He’s skating to “Romeo and Juliet” and Rachmaninoff’s “Piano Concerto #2″…familiar pieces, but I have no doubt that Adam will bring the intense beauty out of them. He’ll be ready to compete. Samuel Contesti of Italy is next at #12. This guy has an entertainment factor, for sure. He lacks a bit of content sometimes, and needs to work on fineness. He moved from 18th at the Olympics to 7th at Worlds, so he has the ability to compete. He just needs to put it all together. Yannick Ponsero from France is the same way. He’s had some bright spots, showing potential, but he’s got to put it all together. He, Yuzuru Hanyu of Japan, Alban Preaubert of France, and Sergei Voronov of Russia are all ranked for a reason – they’ve got the goods to compete. But this season they’ll all need to keep moving in the right direction. Often some of the potential greats don’t quite make it to great, so we’ll see which of these guys brings it this year. I can’t wait to see what he comes up with this year. Wrapping up the top 20, #18 is Kevin Van Der Perren from Belgium. He’s a skater that just keeps on keepin’ on, even without always seeing the results he’d like. He’s got some big tricks, he just doesn’t have the consistency to skate multiple clean programs. Russian youngster Denis Ten is poised to make his presence known. He skated to an 11th place finish in Vancouver, and I expect more good things as he grows in the sport. Finishing off today’s list is the Chinese junior champ, Nan Song. 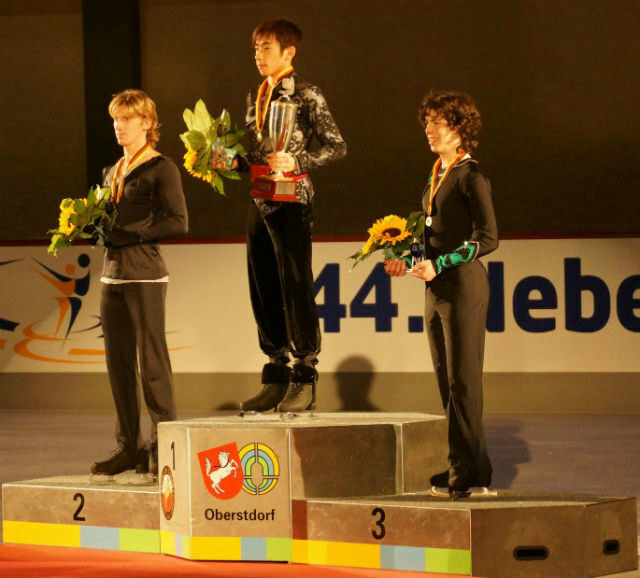 He finished 6th at Four Continents as a senior last season, and was second at the Junior World Championships. He’s a young one to watch as he comes on to the seen with the top dogs! We made it! So, we’re through the men and the ladies. The competition will be fierce, that’s for sure! Some will step up, others will fall down. But that, my friends, is the beauty of sport. On to pairs!! Skate Dance Dream in Michigan, TOMORROW! Skate, Dance, and Dream all over again!